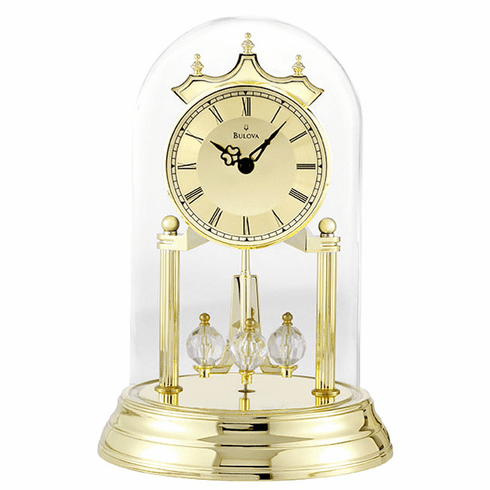 This clock features a metal base with a polished brass finish. Polished metal dial with spun-finish chapter ring. Glass dome. Revolving pendulum. 2" x 1" oval engraving plate included. Requires 2 "AA" batteries (not included). Dimensions: H: 9", Dia: 6"